September 19 to 28, 2017 covered the 10-day Regional Training of Trainers (TOT) on CLIMATE-SMART FARM BUSINESS SCHOOL (CSFBS) held at Agricultural Training Institute-Regional Training Center XII (ATI-RTC XII), Tantangan, South Cotabato. Twenty (20) Agricultural Extension Workers from the provinces of South Cotabato, Sarangani, Sultan Kudarat, North Cotabato and Maguindanao responded positively to the regional office’s invitation as the first batch for CSFBS 2017. This endeavor aims to capacitate the Agricultural Extension Workers in cascading the training in their respective areas. It also emphasizes the transformation of conventional farmers into entrepreneurs. 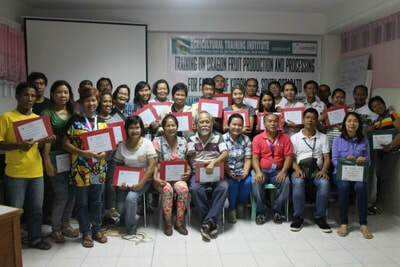 The participants, including four staff from Pasali Philippines, were oriented on four modules with the following topics: Opportunities in the Implementation of ASEAN Economic Community (AEC); Understanding Climate Change as a Risk; Climate Smart Agriculture; and Farming as a Business (FAAB). the effects of Climate Change in Agriculture, ​Agricultural Disaster Risk Reduction Management, Soil Conservation, Water Resource Management, Crop Production Management, Decision Support Tools, Financial Risk Mechanism, Benchmarking, Basic Concepts of Farm Profitability, Farm Business Management, ​Farm Financial Management and Farm Planning and Decision Making. Participants’ learning was both fun and fruitful with the application of not just theoretical inputs but also with actual practicum, workshops and field visit. ​To ensure the success of this bi-annual undertaking, experts fr om the field were invited as Resource Persons. Speakers included personnel from the Department of Agriculture Region XII, PAG-ASA, Office of the Civil Defense (OCD), PhilRice, Philippine Crop Insurance Corporation (PCIC) and Dr. Agripina Leonico. Having obtained fresh and innovative technologies, Agricultural Extension Workers of Region 12 together with their partner farmers are now ready to take the “Climate-Smart Farm Business” challenge. With the aim to capacitate farmers in acquiring adequate knowledge, skills and orientation on the critical aspects of dragon fruit production and processing including post-harvest and marketing aspects, Pasali Philippines Foundation, Inc. as an Extension Service Provider and in partnership with the Department of Agriculture-Agricultural Training Institute (ATI) Region XII conducted a Training on Dragon Fruit Production and Processing for Farmers of Koronadal, South Cotabato held last August 14-16, 2017 at ATI Regional Training Center in Tantangan, South Cotabato. ​Resource Person Fermin C. Rivas shared his experienced-based expertise about dragon fruit to the thirty-two (32) farmers of South Cotabato who mostly have been growing this highly beneficial plant in their respective areas over a period of time. Participants’ learning was made effective with the combination of theoretical and practical approaches. Significant inputs on dragon fruit production and processing and video documentaries of the Philippine’s “Dragon Fruit Lady”, Edita Dacuycuy, was shown to project the status and prospects of Dragon Fruit industry in the Philippine scenario and inspire farmers on the potentials of this fruit. 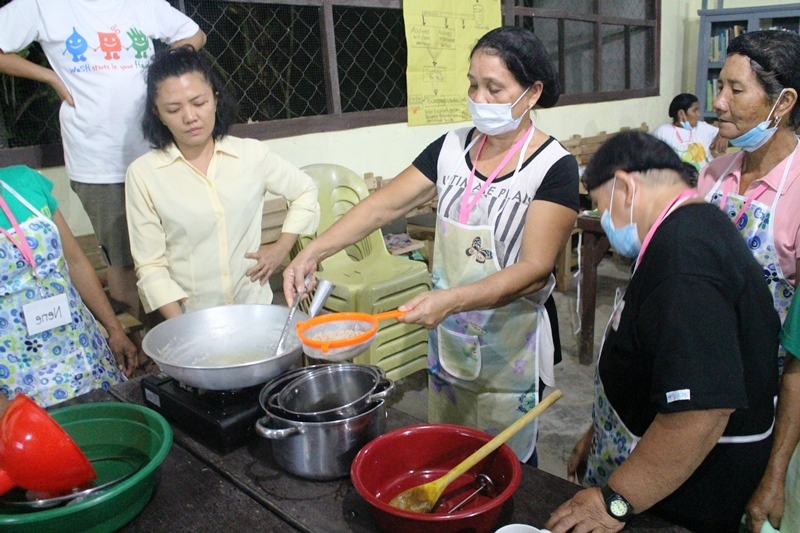 ​The experience became even more fun when the participants had their practicum on dragon fruit processing on the second day and a field visit at Mr. Rivas’ own “RF City Farm” in Barangay San Isidro, General Santos City on the third day. Free planting materials were given to the participants before heading back to the training venue. Pre and Post tests were administered as well before and after the training, respectively, to gauge participants’ knowledge about relevant topics of the training. “Damo gid ko natun-an diri. One of the few seminars na na-atenan ko na 'di boring so I highly recommend this to my family and friends” [“I really learned a lot here. One of the few seminars I attended which is not boring so I highly recommend this to my family and friends”] gladly expressed by one of the participants. Another participant revealed that during the field visit, she had realized that organic farming is very environment-friendly and is a good agricultural practice. She further added that she will share this with their farmers and popularize dragon fruit in their place. These testimonies, along with others, truly manifest that the 3-day training was indeed a success. 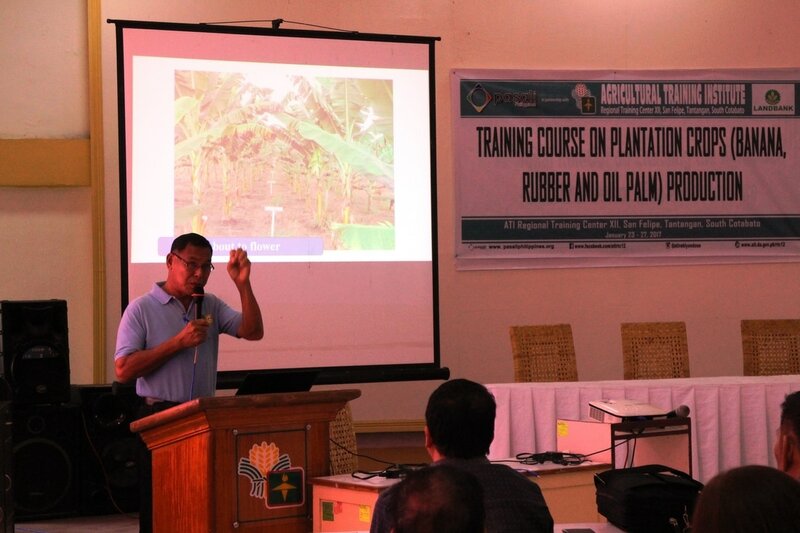 ​Thirty-Five (35) Land Bank of the Philippines (LBP) personnel from its Head Office and Regions 2-12, attended the 5-day Training Course on Plantation Crops (Banana, Rubber and Oil Palm) Production last January 23-27, 2017 held at the Regional Training Center XII of the Department of Agriculture-Agricultural Training Institute (DA-ATI) in San Filipe, Tantangan South Cotabato. ​Managed and supervised by the Pasali Philippines Foundation and co-facilitated by personnel from ATI-RTC XII through the task force formed for the said activity, the training intended to capacitate participants in acquiring adequate knowledge, skills and orientation on the critical aspects of banana, rubber, and oil palm production. DA-ATI accredited Pasali as private Extension Service Provider (ESP) to hasten and improve the delivery of extension services to the DA's client system. 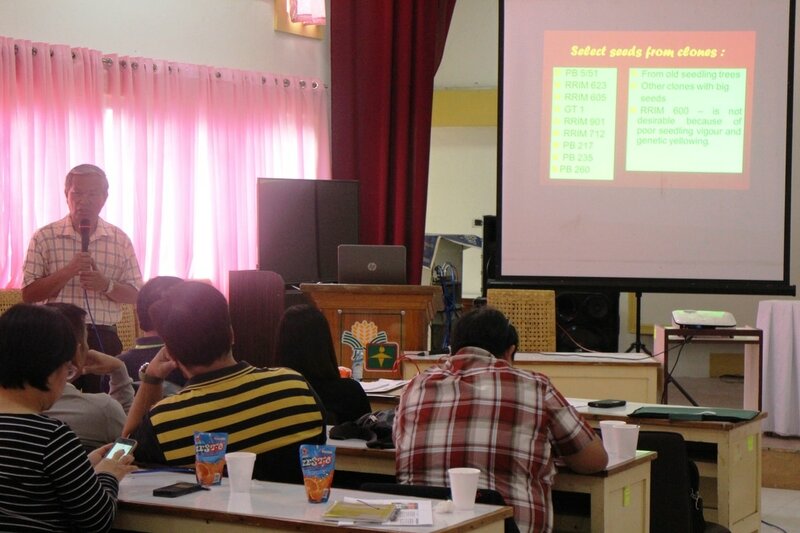 ​The training was conducted through lecture-discussions and field visits. 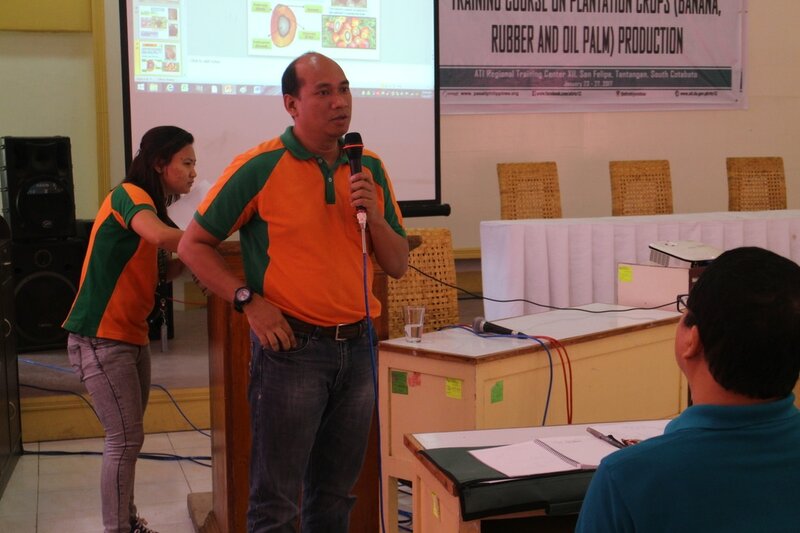 Dr. Ariston Calvo, Prof. Rogelio Testado and a team from Kenram Palmoil Industries, Inc. (KPII) were the resource speakers for banana, rubber and oil palm production topics respectively. ​“Marami akong natutunan. Alien kasi sa amin ang oil palm at rubber. Tingin ko, pwedeng ma-introduce sa farmers ng Region 3 ang rubber, kasi malapit doon ang Yokohama" (I really learned a lot. For us, oil palm and rubber is considered to be ‘alien’. 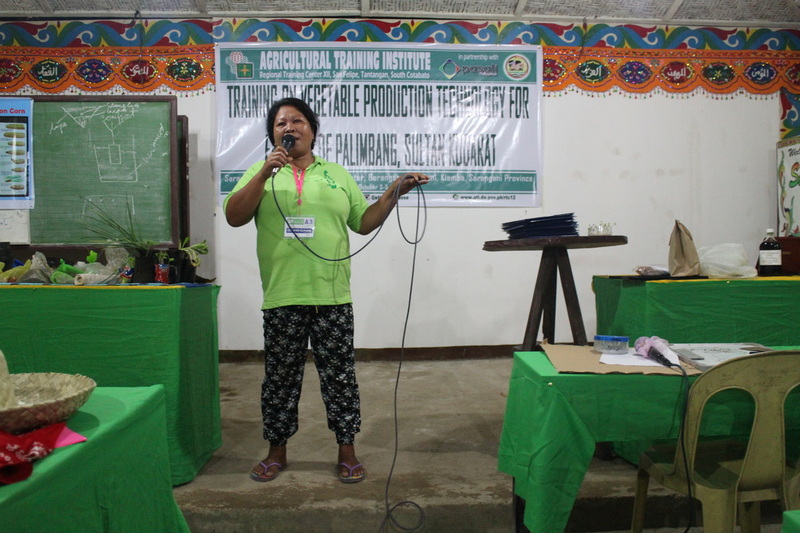 I think, rubber can be introduced to farmers in Region 3 that is because Yokohama (Yokohama Tire Philippines, Inc.) is near there), said training participant Lily San Luis of Pampanga when asked about her impression of the training. ​“The training was very fruitful. Malaking tulong lalong-lalo na sa (land) valuation" (It's a big help especially for [land] valuation). 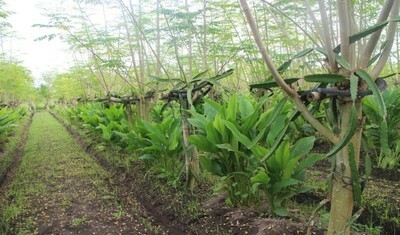 Knowing the characteristics of plants (banana, rubber and oil palm) is very important to valuation. The training also gave us opportunity to interact with fellow LBP personnel from other branches, particularly to Agrarian Services Group (ASG) and enhanced the camaraderie among us. I hope there will be similar training for other crops in the future. Thanks to Pasali and DA-ATI for facilitating the training and to LBP-Agrarian Operations Center (AOC) XII for the great hosting,” added Atty. Peter Cañeso of LBP-AOC VI. 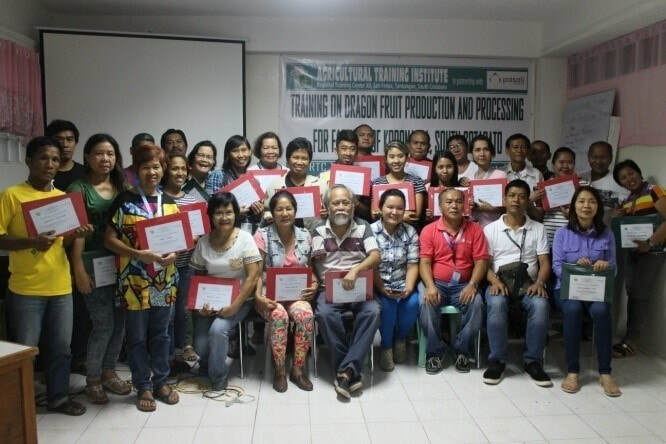 ​Pasali Philippines Foundation Inc. conducted a three-day training on Product Development and Marketing (Commodity Branding) for Agricultural Extension Workers (AEWs)/Farmers of Malapatan, Sarangani Province held last October 18-20, 2016 at OSCA Building, Barangay Lun Masla of the said municipality. It was joined in by 37 training participants. The training generally aims to promote product development and marketing as part of developing small and medium entrepreneurs (SMEs) from AEWs and farmers focusing on the Importance of Product Development; The Process of Product Development; Characteristic of a good product; and Marketing of the product with emphasis on commodity branding. The event had a special participation of representatives from the Department of Agriculture- Agricultural Training Institute (DA-ATI) Region XII. Resource person Dr. Danny Alfares disclosed in his lecture the different businesses that are successful as indicated in their gross income. Moreover, tips were also presented in Product Development. The participants benefitted from the workshop sessions. Groups were active in reporting and presenting their ideas on how to enhance their products and find innovative ways of branding their commodity for effective marketing. ​The event ended as Ms. Ma. Teresa Laxamana of DA-ATI XII gave an encouraging message to the training participants to further improve their prduct and be at par with other big-time business in the region. 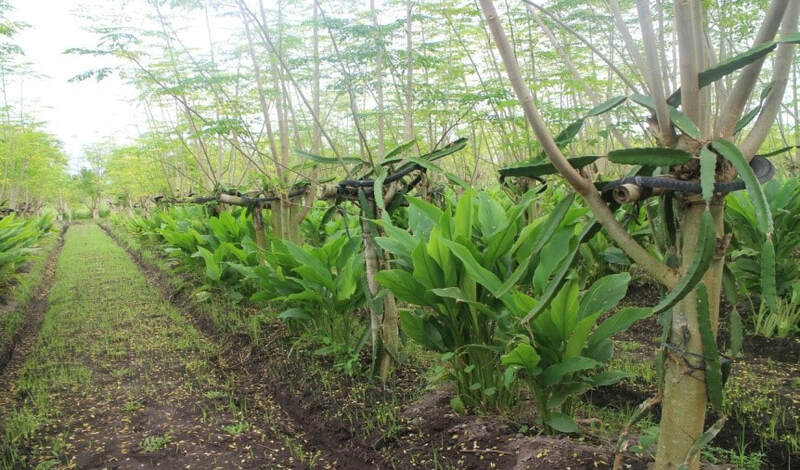 ​The activity is essentially intended to promote vegetable production to address problem of adequate supply and ensure nutritious and affordable food. The training mainly focused on: Nutritional and economic value of vegetables; Considerations in choosing types of vegetable for planting; Care and management of vegetables; and Harvesting and Marketing. Vegetable growing have been practiced by farmers since time immemorial. Before, farmers were growing vegetables organically. However, when the synthetic fertilizers and chemicals were introduced, many farmers gradually shifted to chemical-based vegetable production. But as the numbers of people who prefer organic food are increasing, because of the mounting volumes of scientific and medical research showing the ill effects of residual antibiotics and inorganic medicines on humans, interests and demand in organically-produced food are also increasing. ​As part of the practicum, training participants were taught to prepare a plot for planting vegetables applying the “raise bed” technique for waterlogged areas. They also did their own organic concoctions and toured at the Kiamba Vegetable Public Market to acquaint about common vegetables and its prices sold in the market. 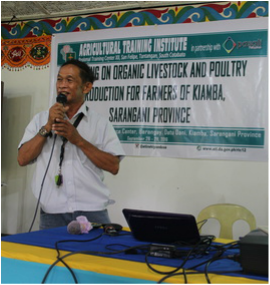 ​Pasali spearheaded a training on Organic Livestock and Poultry Production last September 26-28, 2016 held at Sarangani Learning and Resource Center in Datu Dani, Kiamba, Sarangani Province, attended by 28 farmer-participants from the municipality of Kiamba. This activity is designed mainly to promote native chicken production to provide nutritious food and as a source of additional income to the rural farmers during lean months of the year. ​Organically-produced livestock and poultry products are safer to consume than commercially produced ones. Most, if not all the commercial livestock and poultry products are being pumped with so much chemical medicines and preventive antibiotics. Thus, people who prefer organic food are increasing, because of the mounting volumes of scientific and medical research showing the ill effects of residual antibiotics and inorganic medicines on humans. Presently, there is a growing local market for organically-produced livestock and poultry products, which could hardly be filled by local production. Raising organic livestock and poultry products is a promising profitable venture for farmers to engage in. ​In line with this, training on Organic Livestock and Poultry Production was conducted. It was done through series of lectures which were facilitated by Mr. Sainudin Ledesma, who discussed about Organic Livestock and Poultry Production; Prof. Lily Dela Cuadra to which her topic engaged on Organic Native Chicken Production; Prof. Mansueto Cuaton whose topic focused on Organic concoctions; and Prof. Arturo Amparado who lectured about organic swine production. 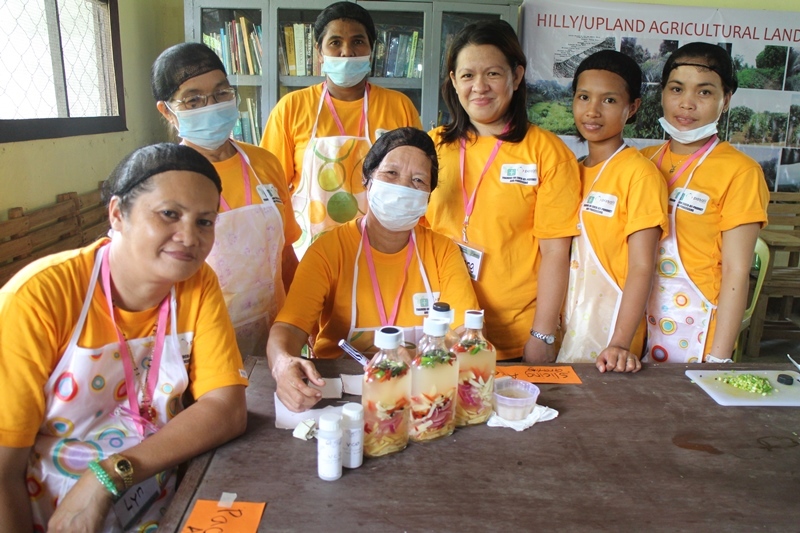 Promoting coco by-products and processing to increase income of the coconut farmers, Pasali hosted a three-day training on Coco By-Product Processing for Rural Women last September 19-21, 2016. The training was held at Sarangani Learning and Resource Center, DatuDani, Kiamba and attended by 28 participants from the municipalities of Maitum and Kiamba, Sarangani Province. The training was done through series of lectures by Ms. Jeanette Madas, from Mindanao State University as resource speaker. She taught the rural women on the village-level Processing Technology, General Operation Requirements, By-products and Downstream Products, Basic Costing and Operation and Maintenance Procedures using coco By-products which mainly focused on VCO (Virgin Coconut Oil) Production Processes, soap making using coco milk and coco vinegar production. Along with this, the resource person also discussed to them the basic costing for the processed products. It is essential that an entrepreneur must always know how to compute the cost and return analysis. Moreover, the equipment and facilities costs must always be included in the pricing of processed products. Many small and medium entrepreneurs switched from copra production to making VCO for local use and export sales, which significantly increased their profit, according to Ms. Madas. 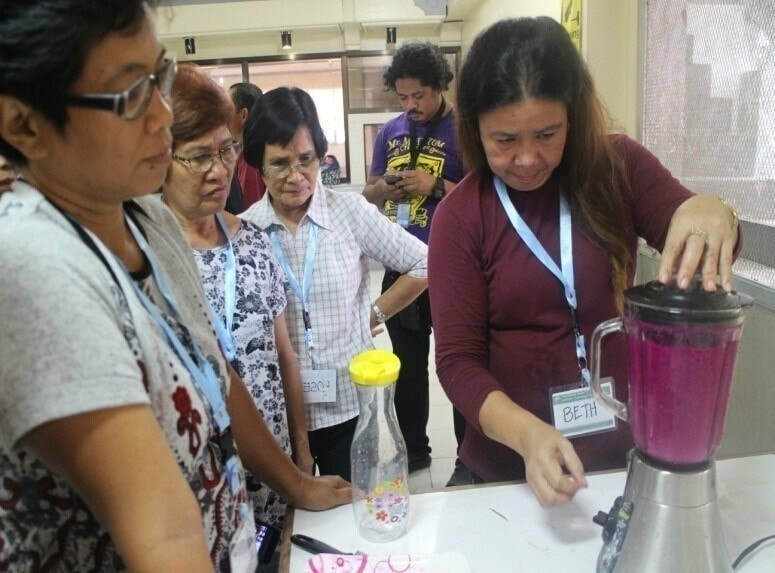 The participants not only listened attentively to the lecture but also enjoyed a lot during their practicum on modified kitchen and fermentation methods on processing VCO. They were also instructed on how to properly wear the PPE (Personal Protective Equipment) that includes apron, face mask, hair net and gloves to prevent contamination. At the end of the three-day event, the training certainly gave awareness on social transformation, anchoring on different range of concern especially on developing the skills of rural women through training, is in a way, part of women empowerment. 'Cocos nucifera' is the scientifice name of Coconut Tree. It grows throughout the country and is considered as a "tree of life". Apart from cash crop or a direct source of income, it is also a source of nutrition and materials. Other relevant coconut products in the market are Coconut shell, Coconut wood products, Nata de Coco, Coco water, Coco Sap Vinegar and Coco Coir. The greatest economic benefits of coconut trees to farmers come from drying the coconuts into copra for further processing into copra oil. 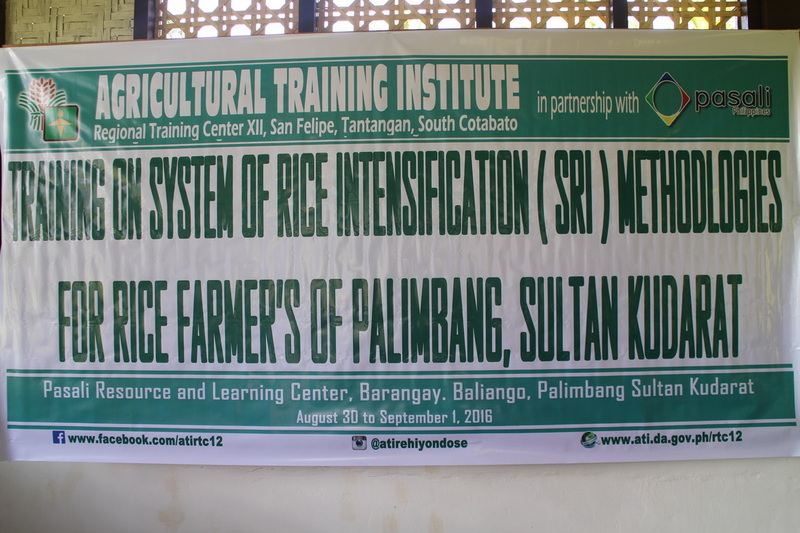 Pasali's Extension Service Provider team recently conducted a three-day training on System of Rice Intensification (SRI) methodologies last August 30 to September 1, 2016 at Pasali Learning and Resource Center in Barangay Baliango, Palimbang, Sultan Kudarat. The training was attended by 31 farmers from different barangays of Palimbang. It intended to promote SRI as climate-smart agro-ecological methodology for increasing the productivity of rice by changing the management of plants, soil, water and nutrients. 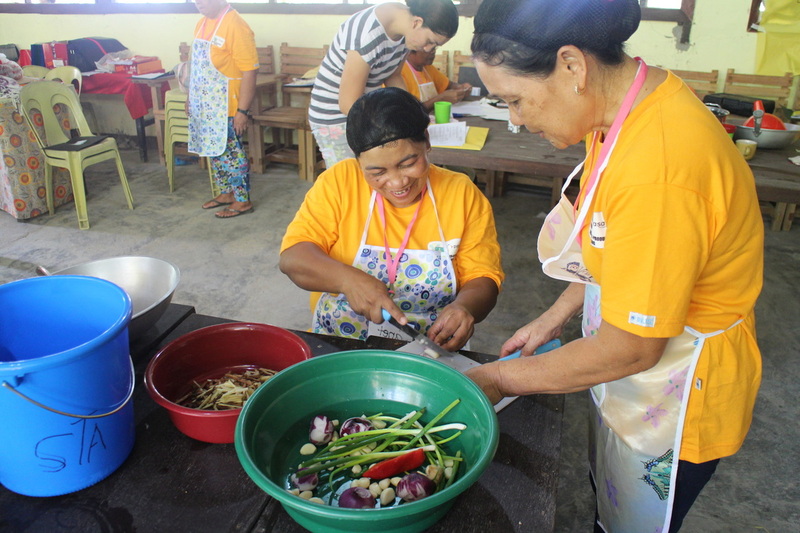 ​The training is in line with the government’s rice program of attaining rice sufficiency within the first two years of Duterte Administration. SRI practitioners worldwide have observed its following benefits: 1) Higher yields – of both grain and straw; 2) Reduced duration of crop cycle by 10-15 days; 3) Less chemical inputs; 4) Less water requirement; 5) Less chaffy grain; 6) Grain weight increased without change in grain size; 7) Higher head rice recovery rate; 8) Withstands cyclonic gales; and 9) Soil health improves through biological activity. The benefits of SRI have been seen already in 40 countries, with increased production of both improved and local rice varieties. 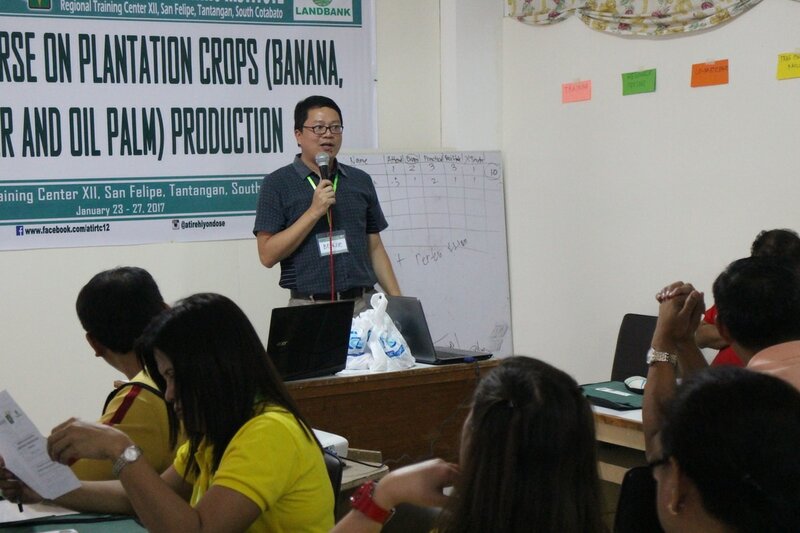 The training was done through series of lectures which were facilitated by Prof. Mansueto Cuaton from the Mindanao State University College of Agriculture, one of the training resource persons. He said that farmers have an opportunity to produce organically grown rice products and traditional rice varieties through SRI. Palimbang Officer-In-Charge (OIC) Municipal Agriculture Officer Samrod Kathiang, gave a short message during the training. He challenged rice farmer participants by learning new technologies to increase rice production. 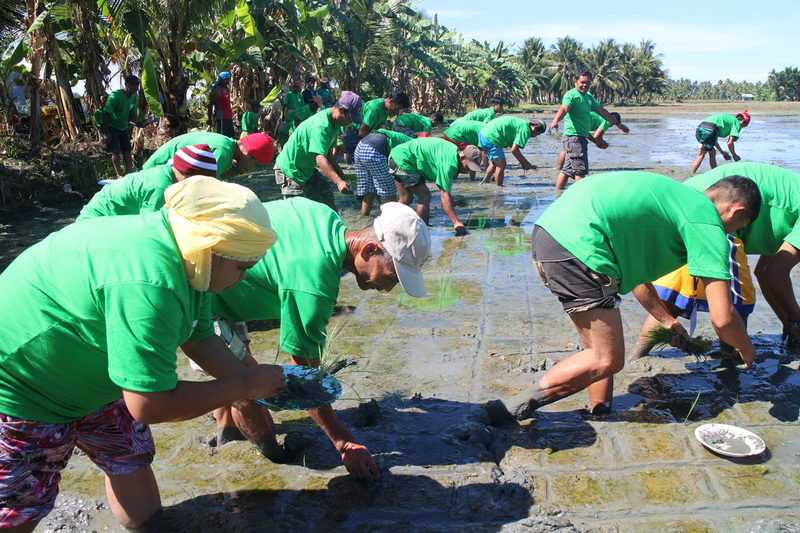 As part of the training the rice farmers had a practicum on transplanting seedlings at Pasali's demo farm and a practicum on producing organic fertilizers. 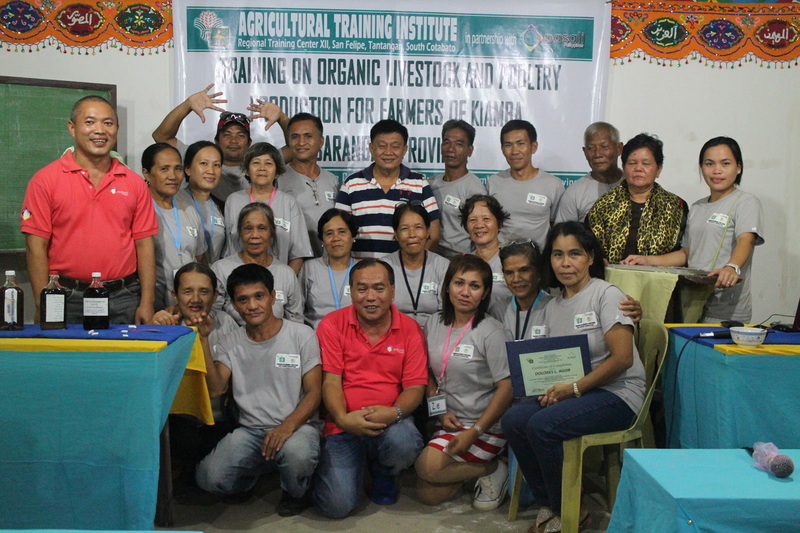 Pasali Philippines Foundation, Inc., an accredited Extension Service Provider (ESP) of the Department of Agriculture-Agricultural Training Institute (DA-ATI) – Region 12, has already conducted series of trainings that were held within Region 12 since April 2016 in partnership with the DA-ATI-12. - Rubber Production Management for Rubber Farmers in Palimbang, Sultan Kudarat. Pasali Philippines is one of the organizations accredited by the Department of Agriculture- Agricultural Training Institute (DA-ATI) region XII as Extension Service Provider. ATI taps the services of the external service providers to improve and hasten the delivery of extension services of the DA and to provide opportunities and wider participation of the private sector in the conduct of agricultural extension services.